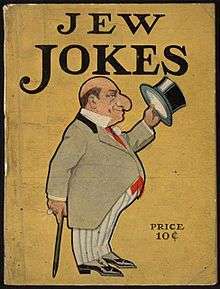 Ethnic jokes reinforce ethnic stereotypes and sometimes lead to calls for violence. Perceptions of ethnic jokes are ambivalent. Many find them racist and offensive. On the other hand, jokes poking fun an one's own ethnicity are sometimes considered acceptable but Christie Davis challenges this notion of there being an innocuous ethnic joke. The perceived damage to the ethnic group can be of great concern as when the ethnic Polish jokes became so common in the 1970s the Polish Ministry of Foreign Affairs approached the U.S. State Department to complain. There is a correlation of ethnic joke types to cultural characteristics, which may be useful in studying the history of a culture. In the category of stupid man jokes, the man's culture is very often one overrun by conquerors, e.g., Moldova, Poland, Italy, Scots-Irish, Punjabi, Oromo, Malay. In the category of stingy or canny jokes are cultures that have played the role of "middleman minority," e.g. overseas Chinese, Jews, Armenians, Gujarati. If a native of a country is asked about these two joke types, a native can usually identify one or both groups in his community. The Malay tell the canny jokes on the Chinese who live among them and the Chinese tell stupid-man jokes on the Malay. An Ethiopian will usually identify the Oromo as the subject of stupid-man jokes and the Gurage as the canny ones (which Wikipedia identifies as "skilled traders.") A third kind of ethnic joke is told only by insiders and isn't funny to outsiders. An example is the insider who dies and goes to Hell where in Russian Hell, Russians are kept screaming in a giant bowl of boiling oil by demons with pitchforks. Same with American Hell and British Hell. But in Moldovan or Punjabi Hell, same screaming in the oil but no demons, no pitchforks. "Not needed. They pull each other back in." ↑ An Anatomy of Humor. ↑ "Why do people find racist jokes funny?". BBC News. 2002-05-07. Retrieved 2009-01-22. ↑ Dominic Pulera, "Sharing the Dream: White Males in Multicultural America". p 99. Jaret, Charles (2002). "Book review: The Mirth of Nations". American Journal of Sociology. Rappoport, Leon (2005). Punchlines: The Case for Racial, Ethnic, and Gender Humor. Greenwood Publishing Group. Mitchell, Henry (June 24, 1991). "Did You Hear the One About...". National Review. Just how ethnic is ethnic humour?